Ensure the Integrity of Your Piping System Installation | Lubrizol Advanced Materials, Inc.
Builders and contractors across America trust FlowGuard Gold to reliably deliver clean, safe drinking water. 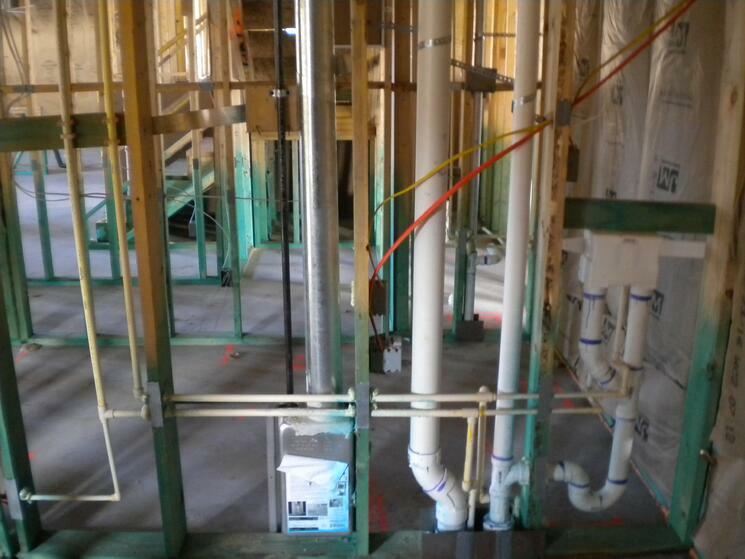 But on a recent tour of jobsites in Central Florida, we discovered that several installers were installing their FlowGuard Gold piping using non-FlowGuard Gold fittings. While this practice might help the plumber save a few pennies, this can be a dangerous practice for plumbers and builders who want to enjoy the reliability of a complete FlowGuard Gold system. Not all CPVC materials are the same, Non-FlowGuard Gold CPVC compounds have been found to have both significantly lower pressure bearing capabilities and significantly lower impact resistance. When tested at elevated temperatures and pressures, a FlowGuard Gold fitting will last up to four times longer than a non-FlowGuard Gold fitting. For builders who need a higher safety factor, FlowGuard Gold fittings are the only fittings made from pressure rated materials, which contributes to the superior performance of a complete FlowGuard Gold system. How can you tell if you’re using a complete FlowGuard Gold system? Your purchasing manager is your first line of defense – they should always insist on only FlowGuard Gold CPVC fittings. When the fittings arrive, the boxes and/or bags should also be marked with the FlowGuard Gold logo – if you don’t see the logo on the packaging, you might not be getting FlowGuard Gold fittings. In the field, you can also look for markings on the fitting itself. Fittings marked either Charlotte or NIBCO are guaranteed to be made from FlowGuard Gold materials. If you have fittings marked BOW, please contact the manufacturer to confirm if they are FlowGuard Gold fittings. Learn more about how FlowGuard Gold compares to other CPVC materials.